During the catastrophic Alberta wildfires, fire chief DARBY ALLEN shot to global acclaim for guiding the 88,000 residents of Fort McMurray to safety with no loss of life—the largest evacuation in Canadian history. Now, he offers guidance on how to be a stoic, quick-thinking leader in tough situations. We all face emergencies and crises—Allen shows us how to overcome them. Known as the face of the Alberta wildfires—and widely celebrated as a national hero—Darby Allen is an exemplar of selfless courage and level-headedness under pressure. Allen was Regional Fire Chief of the Regional Municipality of Wood Buffalo, an area that encompasses the community of Fort McMurray. In spring 2016, he spearheaded the evacuation of the city’s entire population while the rest of the world watched. Throughout the ensuing weeks of operations, he worked tirelessly with first responders and volunteers, who came from across the nation (and globe) to assist. His updates to the media were not only a means of reliable information, but a source of optimism—Allen provided calm reassurance as the lead spokesperson throughout the rescue efforts. A native of Birmingham, England, where he worked as a firefighter for the Hampshire Fire Brigade, Allen emigrated to Canada in 1990. 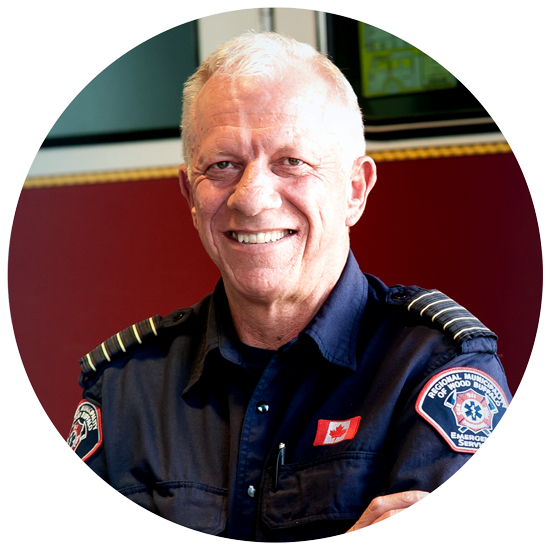 He began work as a firefighter with the Calgary Fire Department in 1992, moving up in rank from Training Officer to Assistant Deputy Chief of Operations, before moving on to Fort McMurray Fire Service 2009, where he became Regional Fire Chief in 2013.